New Delhi, Dec 29: If Pakistan and China, the two neighbours of India give up enmity with India then not only peace and safety would prevail in the entire Asian region but it will also eradicate poverty and hunger from the region leading to maximum development, said Suresh alias Bhayyaji Joshi, Sarkaryawah of Rashtriya Swayamsevak Sangh (RSS). 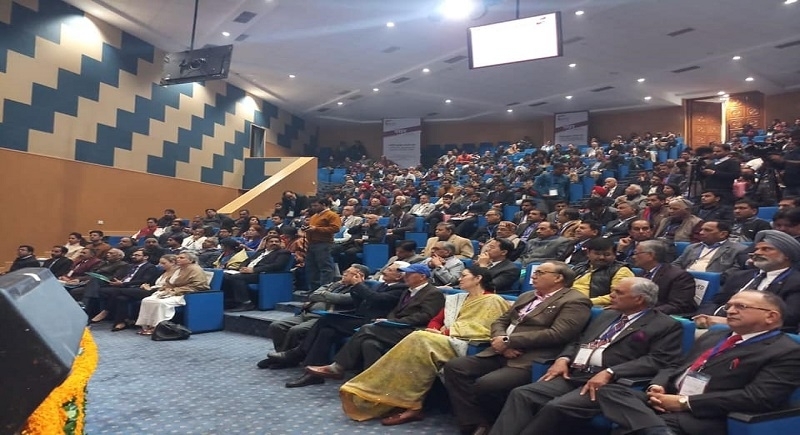 He was addressing the inaugural session of the one-day seminar on ‘National Security - A Vision’ organised by Forum for Awareness of National Security (FANS) at Ambedkar International Centre here on December 27. 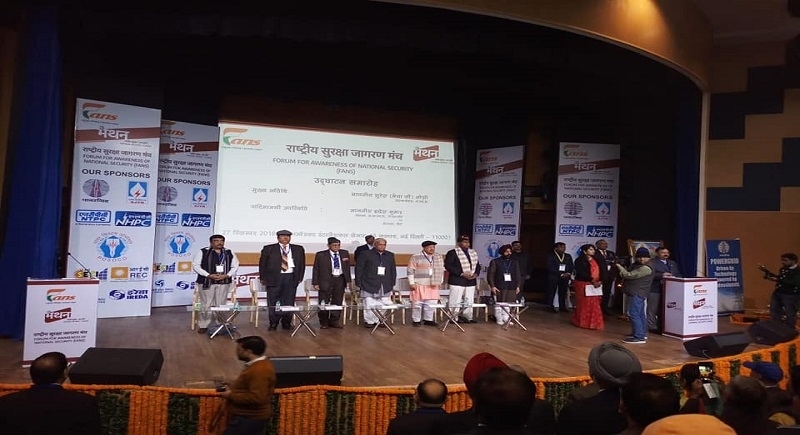 Indresh Kumar, Patron of FANS and member of RSS Executive Committee was prominently present along with Union Minister of State for External Affairs Gen V K Singh and other office-bearers of the host organisation. Bhayyaji Joshi further said that a huge amount was spent on defence due to enmity of neighoring counries. If they give up enmity then this amount could be used for development projects, education and poverty allivation programs. He said that India never considered Pakistan as enemy national but Pakistan harboured enmity with India since its inception. China might not have openly acted against India but its nature and behaviour along the border indicate it intentions. The country is already facing challenges of harmony as violence is being spread in the name of religion, caste and intolerance. He said that even technology has been one of the reasons of unrest in the country. Bhayyaji said that the government and army alone cannot save the country if the people are not aware of the threats and dangers to nation's security. The enemy enters our land and cause damages. To avoid this we need be cautious and aware, and to face the challenges as awakened citizens, he said. Commenting on the Pakistan Prime Minister Imran Khan's statement on minorities in India, Indresh Kumar said that Pakistan's PM should be ashamed of making such a statement. He alleged that the Pak PM had shamelessly given false statement regarding the minority community in India. He said that at the time of Partition there were 1.2 crore minority community people living in Pakistan. At present their number has come down to just 33 lakh as many of them were either killed or converted to Islam. He described Punjab Government Minister Navjyot Singh Siddhu as present ‘Jaichand’ and actor Nasiruddin Shah as ‘Mir Jafar’ for their pro-Pakistani and anti-India statements. Indresh Kumar said that RSS is not afraid of violent elements. He said that there is a plenty of such anti-humanity elements on the national and international levels. These elements are trying to disturb the peaceful atmosphere in India and world as well. Government should take stern action against such elements so that their attempts to spread instability in the country were frustrated. Such elements consider RSS as a threat to their designs and attack the organisation but the RSS and its leaders will not be cowed down by such attacks, he warned. 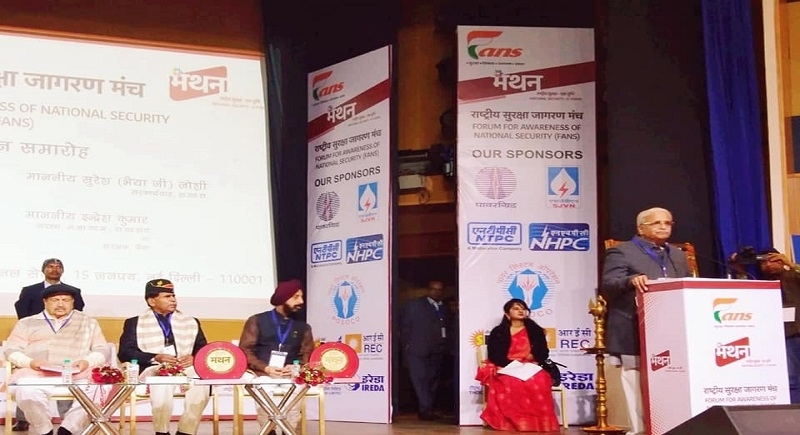 Union Minister of State for External Affairs General V K Singh said that with the good works of the Union Government India has acquired an important position in the comity of nations and the neighbours are also experiencing the gamut of India in international politics.